Message is probably the most important thing to consider; it is how your brand, company and product is being represented. As a startup, your message often forms or matures during your initial investment fund raising process. As the business matures and more and more contact is made with the customer directly, the message changes and is either improved or degraded overtime. One of the key components to consider when assessing the effectiveness of your message is whether or not you have an integrated message. An integrated message allows for the potential buyer, investor, or partner to truly understand your company in all of it’s layers. With integrated and cohesive branding, logo, website, and content, you are more likely to impress your potential buyer. A common roadblock to effective messaging is getting stuck in explaining complexity of the offering or how the product works instead of getting into the mind of your customer and conveying what is important to them. Too many companies focus too much on product features rather than on the products’ benefit to customers. Tailoring the messaging to the particular audience of any given piece of collateral is important because each audience has its own needs and desires. You may have more than one customer group, and very likely do. If your application is a platform based model–like Uber or AirBnB–then you definitely have two customer groups to market and message to. (ie: For Uber: the drivers and the riders, for AirBnB the hosts and the guests.) But even other, seemingly one-customer products have multiple customer groups. Dig deep to truly understand who buys your product and why they buy it. Then speak to those needs and wants directly in your marketing messaging. Your messages are more effective when they are targeted. Good messaging is supported and enabled by great design. Use a qualified and experienced designer for all of your important customer-facing (and investor / partner facing) collateral. This includes your website, your pitch deck, your handouts, your ads, your sales decks, everything. Your customers now live in a world full of clean, crisp, and beautifully designed ads, signs, and documents. Bad ones stand out, and get ignored. Good ones stand out and get read. Ok ones at least get read. Make sure you work with a team or an individual designer to bring your message to life the right way. It will be most effective that way. Once created, all of this integrated messaging can be utilized by the marketing and sales teams and then improved over time by the based on feedback that they both receive from the front-lines. What groups are we targeting? What is our sales process? How does it differ per group? How do we collect best practices? How do we assess lead (inbound) quality? How do we assess sales (outbound) quality? What is our plan for the sales and marketing team to collaborate on overall approach (what is working, and what is getting in the way)? What ways do we have of assessing our best sales people per audience group? What is the overall improvement plan for improving messaging effectiveness? People are responsible for creating and delivering the message. As you can probably see, the sales and marketing teams work closely with each other in a successful organization. Marketing efforts setup sales teams for success in their interactions with good quality leads and feedback from sales teams improves the quality of the leads and overall effectiveness of the marketing team. Without great flow of communication between the two teams, there is a risk that the sales teams will be poorly supported and left to fend for themselves. Equally as risky, marketing teams spin their wheels while spending money that could be better utilized. Knowing what might be driving leads and what leads are quality is key to improving the teams’ efforts. Sales people that are properly supported are confident and feel like the sale has already been made when the lead arrives. Marketing team members feel great too, because they can see the positive outcome of their diligent work. In an environment where sales and marketing are closely integrated, the two teams support, respect and recognize the accomplishments of each other. During improvement sessions, collective learning and mutual understanding can improve the effectiveness of the messaging and delivery strategy. What steps have been taken to clearly define responsibility for marketing strategy and resulting execution? What steps have been taken to clearly define responsibility for sales strategy and resulting execution? How do the two organizations communicate? How often does this occur? What systems are in place for issues to be raised by marketing or sales personnel? How are improvement initiatives conducted in marketing and sales organizations? What are the performance targets each group is measured against? What are the team goals that support a collaborative approach to developing and delivering content messaging throughout the marketing and sales cycle? How does the team contribute to the overall content base that marketing has to pull from? How does marketing drive contributions for the greater team? What are the sales and marketing executive performance metrics and how are collaboration and overall effectiveness factored in? Systems are important when you have multiple organizations and people working on common objectives. Systems in this context include process maps and training documents, sales support technology, customer management technology, collaboration, storage, and other technology-enabled solutions. Without good systems in place people rely on manual processes to get work done and this severely limits productivity. With better systems, people can focus on higher value work. At the same time, they can focus on the actions behind their work and build better systems that eliminate non-essential actions. Improving efficiency with process and technology can greatly impact the customer and employee experience. When good systems are implemented, information created once, can be reused hundreds of times by several different people. This eliminates costly redundancy and allows the team to build a knowledge repository. These knowledge banks form the backbone to any improvement initiatives the organization wants to engage in. When job roles and activities are clearly defined, it also makes scaling resources easier as the company grows. Plus, disaster recovery and risk elimination are beneficial side effects of having good underlying processes and technology that streamlines delivery. What is the current financial status of the company? What is the effectiveness of our marketing efforts? What is the overall cost to acquire customers? How are we reaching out to and engaging customers now? How are we tracking customers? What is our process development plan? How do we share information as an organization? How would we on-board new people for each critical role we have? So how does your company take meaningful steps to integrate your messaging across your organization? Start by taking a really hard look at your company and how things work right now. Go back through the questions above and write out the answers to each and every one for your organization. You can’t make things better in your organization without first truly understanding where you are today. Only then can we identify where we want to go (integrated messaging) and make a strategic and effective plan to get there. Figure out the story. In the end all messaging (at least all good messaging) is a story. You are telling a story about you, your company, your products and how they will affect the lives of your customers to your potential customers. We think in stories, and humans have been telling stories to each other for eons. Think: Cavemen around campfires. It’s how we communicate. And even more so now as people are bombarded with information about other companies and products and ads, they are looking for a reason to lean into your company, not lean away. They are looking for something interesting, and someone who understands them and their problems. Speak to them. Don’t be afraid to ask for help from an outside party.  When we put together pitch decks for startups seeking funding, or sales decks for companies pitching to potential clients, we spend the time and ask the right questions to get to the heart of who the companies is, what they do, who they serve, and how. We craft the right story that takes all of these things (including the collateral’s intended audience) into account to ensure that any document we put together is effective. Our clients find that working with us reduces the amount of time they spend spinning their wheels trying to craft the right message on their own. When you’re in the weeds, it’s really hard to see the trees. We’re like a plane that surveys the whole forest, then lands somewhere in a clearing and surveys the weeds level too. This effort is scalable to our clients. When we finish a pitch deck project, not only can they use that messaging and story anywhere in their marketing and sales process, but we also intimately know their business and design aesthetic and message, and so can be a key design partner moving forward. Whether you work with us or another equally message & story – focused firm, it is often very helpful and time-saving to work with an outside firm to get the messaging right from the beginning. Overall, having a successful message and being able to deliver it across your organization is a challenge. Taking steps to ensure you have a great message is really the key to everything else. Without great messaging, logo, supporting graphics, and resulting collateral, your people and systems will be limited in their effectiveness. People are a critical element. Build an environment where teams can collaborate and support each other. Adopting a process-focus and helping each other get the most out of the systems the organization has chosen, will make the people closer and more effective. Getting great content and collateral into the hands of your sales force is the key as well as facilitating the back and forth that will help the content improve overtime. Development sessions where sales people can practice their pitch and marketing experts can learn more about cutting edge techniques that will continue to drive value to customers, are great ways to give back to employees and accelerate team member careers. Creating an environment where execution of the message, people and systems are all linked will lead to more sales growth and success for your company.